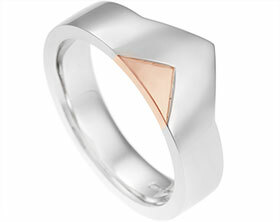 Kelly and Peter both have a great interest in art, design and craftsmanship and are drawn to clean and modern design. 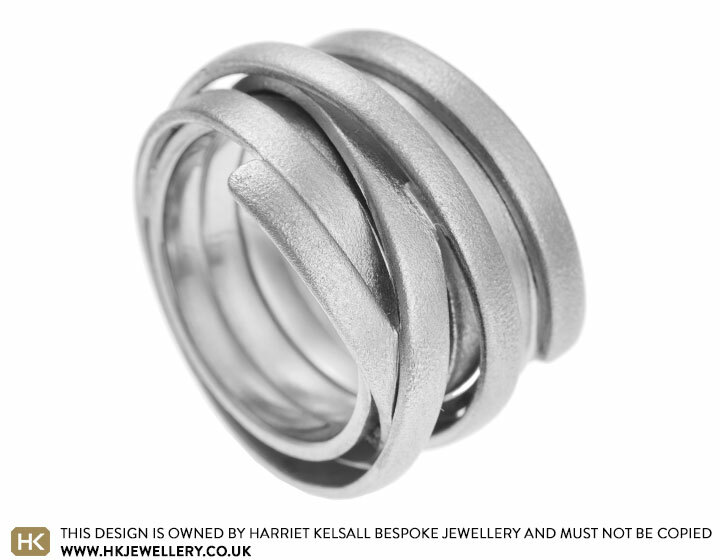 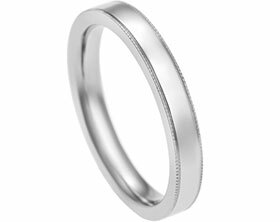 The couple wanted their love of contemporary design to be reflected in a bespoke wedding ring commission. 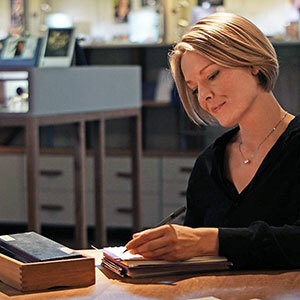 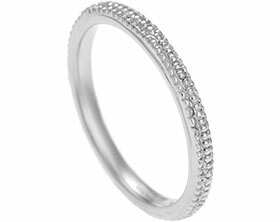 Kelly envisioned a wedding ring that was one continuous piece of precious metal wrapping and overlaying itself around her finger like a piece of free flowing ribbon. 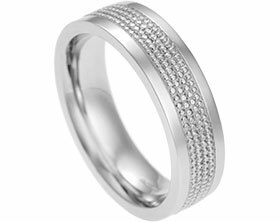 Palladium was chosen for its crisp white colour and it has been given a satinised finish to really bring out the steely tones. 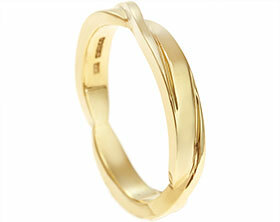 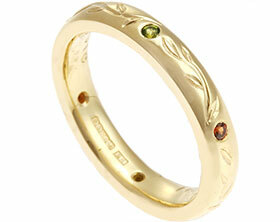 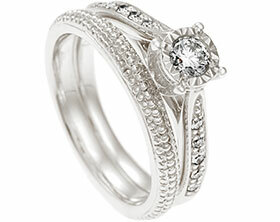 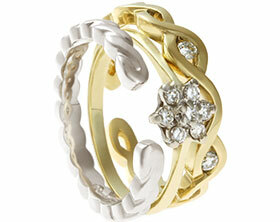 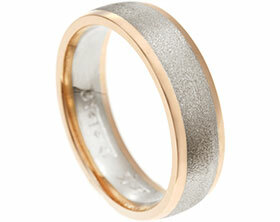 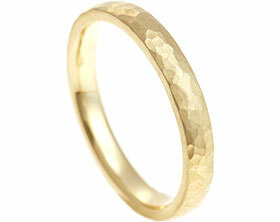 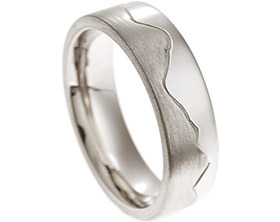 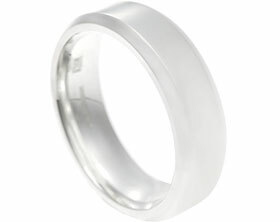 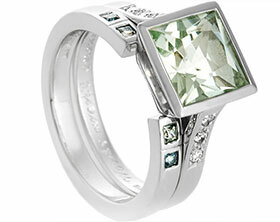 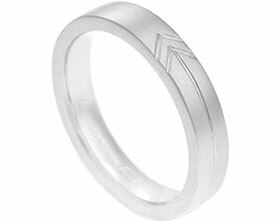 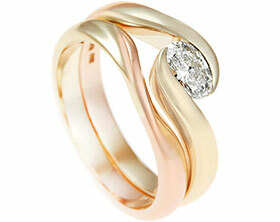 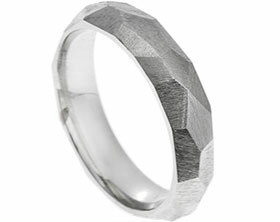 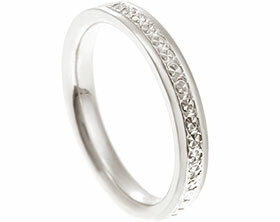 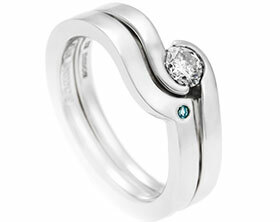 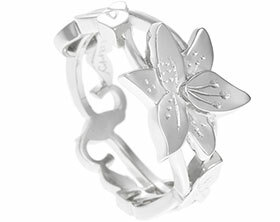 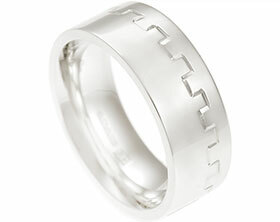 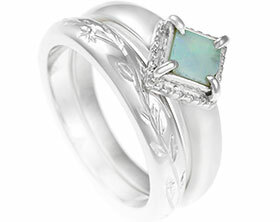 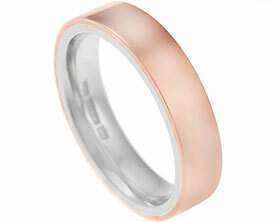 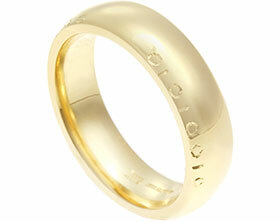 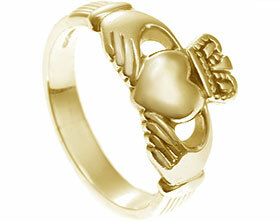 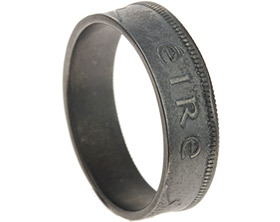 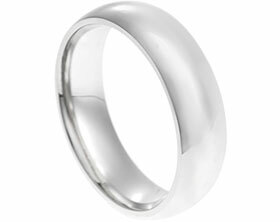 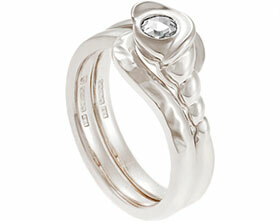 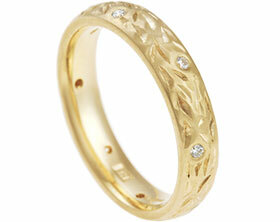 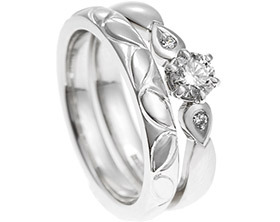 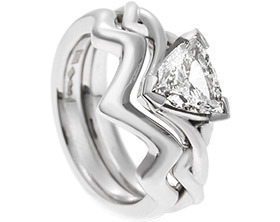 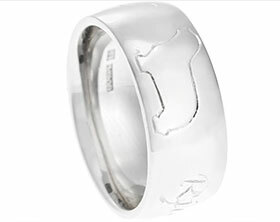 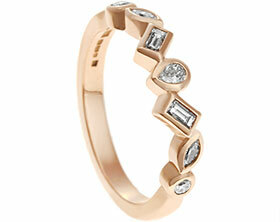 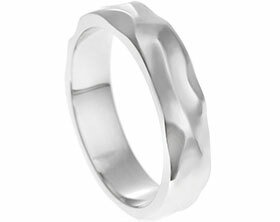 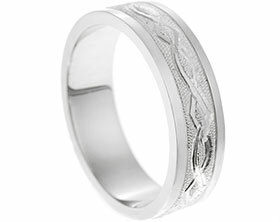 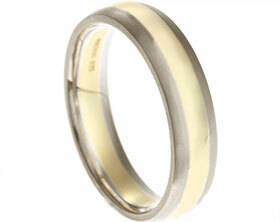 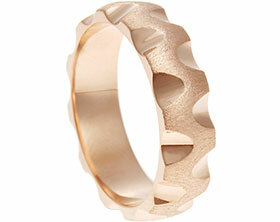 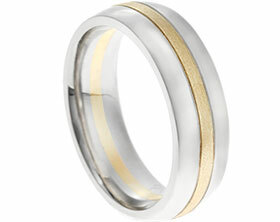 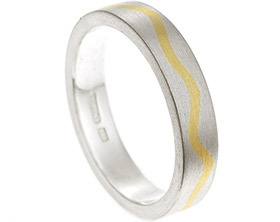 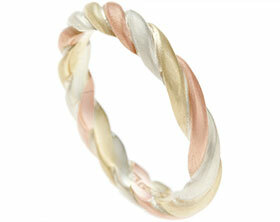 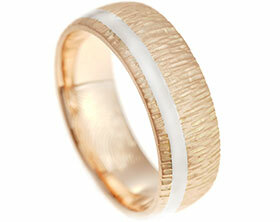 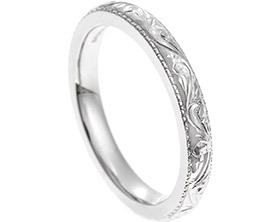 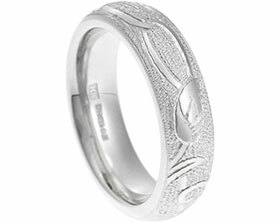 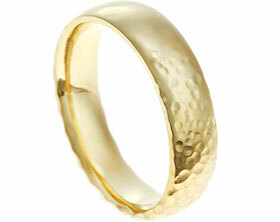 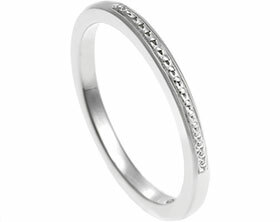 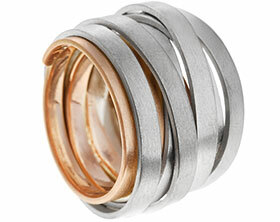 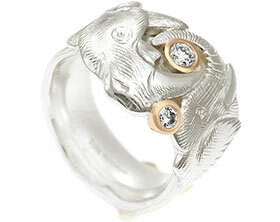 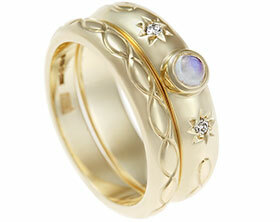 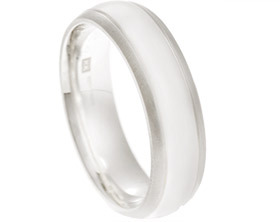 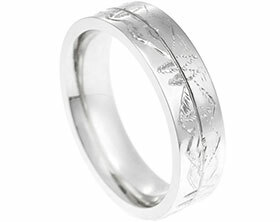 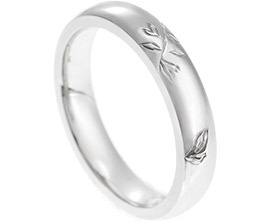 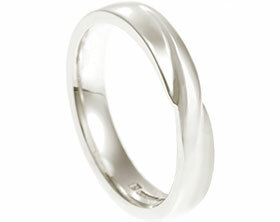 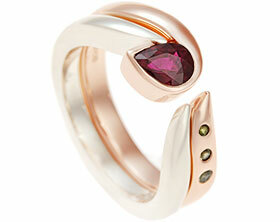 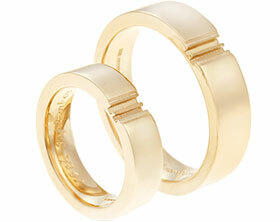 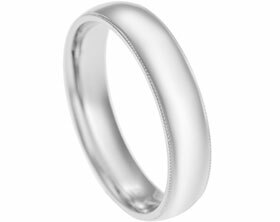 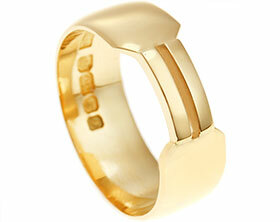 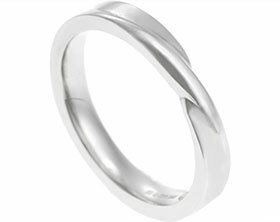 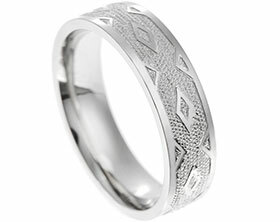 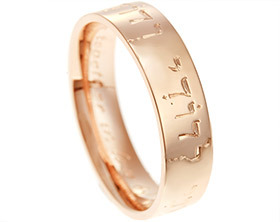 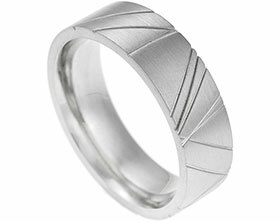 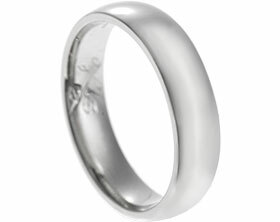 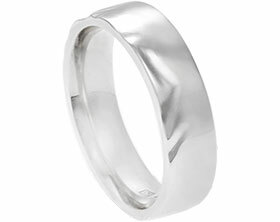 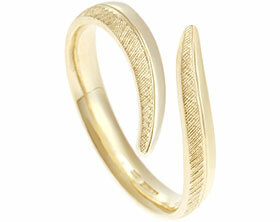 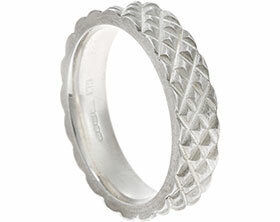 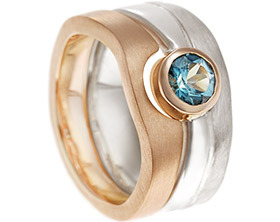 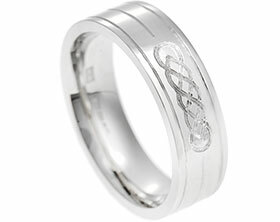 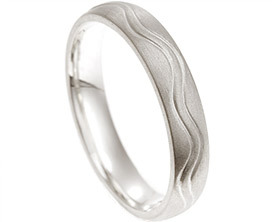 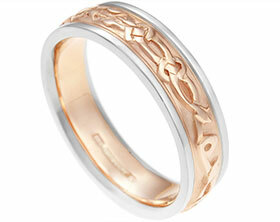 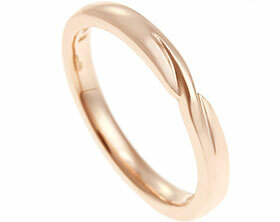 Overall the ring’s finger width is 18mm with its multiple wraps and overlapping sections.